I finally have my September and October Literacy Centers posted (November and December are coming soon). They are a tad bit different from January, February, March, April, May and June in the fact that they were designed to use as a whole group to instruct and discuss the 12 grammar standards. 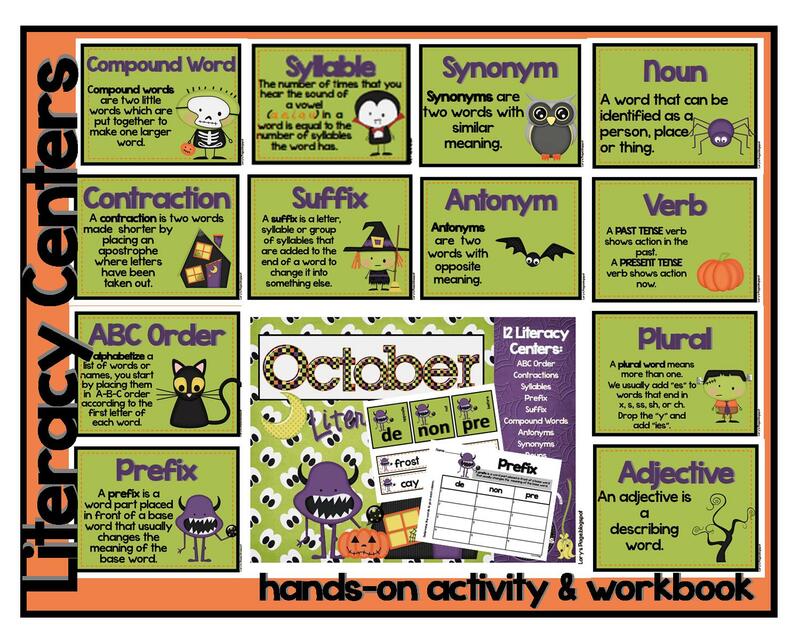 There is a poster with the definition, a hands on activity and worksheet (in booklet form also) just like the others... everything is just a bit bigger. 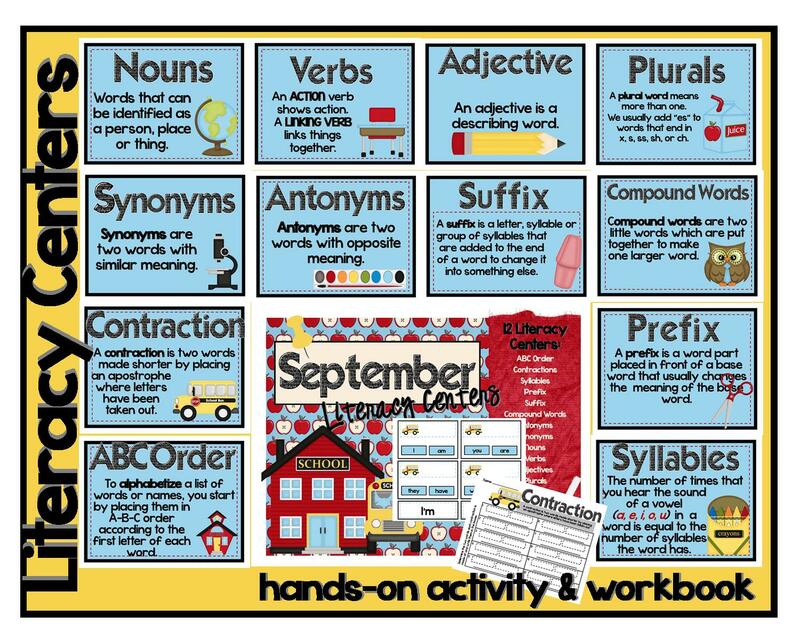 I plan on using these for some of my mini lessons during Daily 5 (even before we get to WORD WORK). I've placed magnet strips on the back to hang on my white board near my Daily 5 area of the classroom.I might use the worksheets as an assessment... I'll see. Hopefully with a few months of group discussion and interaction with these standards, they will be able to be ready to dive into the individual boxes come January.